Nokia 9, Finnish mobile manufacturer HMD Global’s another entry in the smartphone market has been in the news for the last few months with speculations of it being revealed at the upcoming Mobile World Congress (MWC) 2018 in Barcelona, Spain next month. While everyone is speculating about the upcoming Nokia 9, leaked images from the Chinese social network Baidu reveals that HMD Global has already started working on the ultimate 2018 flagship dubbed the ‘Nokia 10’. 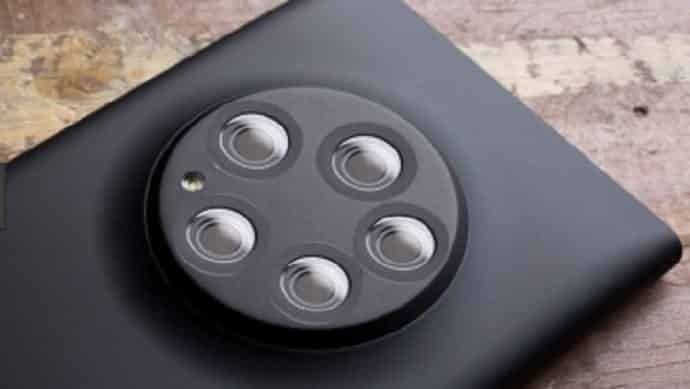 If the information coming from Baidu is to be believed, Nokia 10 could be the world’s first smartphone to feature a penta-lens (5-lens) rear camera. According to the sketch, the smartphone will feature a large circular placed on the rear with five cameras and two LEDs, and a fingerprint reader on the rear. The 2018 Nokia flagship device could have a rotating camera developed by Zeiss. The source of the new rumor suggests the Nokia 10 will feature a full-screen design with 18:9 aspect ratio display, even though the exact resolution hasn’t been confirmed just yet. In terms of design, the smartphone is said to feature a ‘double-glass’ (both front and back) design to support wireless charging. The Nokia 10 is believed to be powered by Qualcomm’s latest Snapdragon 845 SoC processor. The mass production of the handset is believed to begin sometime in the mid-2018. While there is no confirmed information regarding the exact release date, sources suggest the phone could arrive as early as IFA 2018 in Berlin later in the year.